CHALLENGEDAYTONA proudly announces a new partnership with Boom Nutrition Inc., creators of CarbBoom! Energy Gels®. Premium, performance-driven CarbBoom! Energy Gels will serve as the Official Energy Gel of CHALLENGEDAYTONA and the on-course nutrition during the race. Known for their great taste and powerful performance, CarbBoom! Energy Gels are made with real fruit concentrates and purees and are rich in complex carbohydrates that deliver a steady energy release, minus the risk of an upset stomach. The gluten-free, dairy-free, and vegan-friendly gels do not contain any artificial flavors, colors, or sweeteners. They’re an ideal choice for endurance athletes in need of tasty, trustworthy nutrition. Slated for December 7-9, 2018, the inaugural CHALLENGEDAYTONA festival weekend will be the first of its kind at Daytona International Speedway. The schedule of events offers something for every level of athlete, including Sprint and Middle Distance Triathlons, the Junior Challenge kids’ race, Relay categories, Duathlon and Aquabike events, 10K run and 5K run/walk events, and the all-new NASCAR-inspired Pitstop Challenge. The top six male and female finishers in each Middle Distance Triathlon age group will qualify for THECHAMPIONSHIP, to be held on June 2nd 2019 at the x-bionic sphere in Samorin, Slovakia. Boom Nutrition Inc. is a sports nutrition company based in a Cleveland, Ohio, that develops and delivers nutrition products that improve the performance of endurance athletes everywhere. Known worldwide for its great taste and great performance, CarbBoom! Energy Gels are the official Energy Gel of endurance events everywhere. For more information about CarbBoom! Energy Gels, go to www.boomnutrition.com. The Marine Corps Marathon Organization announced that Boom Nutrition’s great tasting CarbBoom! Energy Gels® will be its featured on-course Energy Gel for the 43rd Marine Corps Marathon on October 28, 2018. Carb Boom! Energy Gels® are well known for their great taste and unbeatable endurance performance. They are made with real fruit concentrates and purees and are rich in complex carbohydrates that deliver a steady energy release without the risk of an upset stomach. Marathoners, triathletes, cyclists, runners and other endurance athletes love Carb Boom! Energy Gel’s six delicious flavors and appreciate the fact that they do not contain any artificial flavors, colors or sweeteners, are gluten-free, dairy free and vegan-friendly. Carb Boom! Energy Gels will be featured at two food stations located at miles 13 and 23 of the MCM course. “This is the start of a significant new partnership that will add flavor and fuel to the Marine Corps Marathon experience,” said Rick Nealis, MCMO Director. Boom Nutrition Inc. is a sports nutrition company based in a Cleveland, Ohio, that develops and delivers nutrition products that improve the performance of endurance athletes everywhere. Known worldwide for its great taste and great performance, CarbBoom! Energy Gels® are the official Energy Gel of endurance events everywhere. For more information about CarbBoom! Energy Gels®, go to www.boomnutrition.com. Marine Corps Marathon (www.marinemarathon.com) is ranked annually as one of the largest marathons in the USA and the world, and has been recognized as "Best Marathon in the Mid-Atlantic", "Best for Families" and Best for Beginners". Runners from all 50 states and more than 60 countries participate in MCN and an annual calendar of event including the Marine Corps Historic Half in Frederickburg, VA in May and the MCM Event Series conducted aboard the Marine Corps Base Quantico. Organized by the men and women of The United States Marine Corps, the MCM is the largest marathon in the world that doesn't offer prize money, instead celebrating the honor, courage and commitment of all finishers. Looking good in his CarbBoom Energy Gel Apple Cinnamon race kit, friend of Boom! and Boom Nutrition Sponsored Athlete Desta Morkama won the 2017 Marine Corps Marathon in Washington DC in a time of 2:25:14. A member of the Ethiopian Oromo minority group, Morkama came to Arlington last year to escape persecution and quickly established himself on the northern Virginia road racing scene. After recovering from an earlier quad injury, he picked up his training and racing in the last few months, including wins at the Annapolis 10 Miler and Parks Half Marathon, though he also won the Lower Potomac River Marathon in March and the Potomac River Run (May) and Abebe Bikila Day International Peace (September) marathons on the C&O Canal Towpath. Despite his 2:13:48 marathon PR from 2013, Morkama often relies on his kick to wins races, but that wasn’t possible at Marine Corps, as confusion in the first mile threw much of the leading Marine Corps Marathon pack into chaos, but Desta eventually overcame a nearly-two-minute deficit, and up to an extra half mile, to win in 2:25:14 Throughout the race, his expression telegraphed the intensity of someone who knew the race wasn’t over before he crossed the finish line. For most athletes, our healthy daily lifestyles play just as big a role as our fitness training in determining our performance on race day. One of the lifestyle choices that dedicated athletes embrace is adopting good sleep habits. Sleep is such an important factor in how we run. Studies have shown that for the endurance athlete, even minimal sleep deprivation can cause negatively impact our performance on race day. Even though sleep deprivation has little effect on physical strength, it is linked to grogginess, difficulty thinking, and agitation, which can crank up the difficulty on race day. How can you optimize your sleep hygiene to increase performance during your run, bike, or swim? Here are some tips that will help you fall into a sleepy groove. A regular sleep schedule is perhaps the most important component of good sleep hygiene that will promote a good race. This means, more specifically, waking up and going to bed at the same time each morning and night. Some marathoners travel long distances, or across time zones, to their race locations. To prepare for this, allow yourself a few days to gradually adjust your sleep schedule so you get the same amount of sleep each night and don’t suffer from jetlag on race day. 2. Know Your Number: The Amount Counts! The difference between 6 hours of sleep and 8 hours of sleep can be the difference between going home with the gold or with the bronze. The most widely accepted figure is 8 hours of sleep each night, but everybody has a different ideal. One way to know how much sleep you need is to catch up on your sleep over a few days: go to bed, and don’t set your alarm clock. Keep track of what time you go to sleep and what time you wake up. Generally, by the third or fourth day of this practice, you’ll have pushed the reset button on your sleep cycle, and you’ll know how much sleep you need. Your pre-bedtime ritual is vital to enhancing the quality of your sleep. Make sure to refrain from using your bed for work or browsing the web – being too productive under the covers can cause mixed signals in your brain when it’s time to close your eyes. Turning off electronics and relaxing in bed with a quiet activity like reading can help your brain prepare for sleep. Additionally, evidence suggests that exercise right before bed raises your body temperature and pumps up your adrenaline; both of these can contribute to sleeplessness or poor quality of sleep. The environment around you while you sleep contributes to the quality of your sleep in many ways. Darkness – as much as you can stand – will help you produce melatonin, which is known to regulate your biological clock. Light interferes with the production of melatonin, and disrupts peaceful sleep. A cooler environment will also help you sleep well – lowering the body’s temperature signals to your brain that it’s time to fall asleep, and you will fall asleep faster and get more rest in a cooler room. Lastly, sounds like car horns or barking dogs that interrupt sleep can really lead to a decrease in how rested you are. A white noise machine, or ambient soundtrack playing, can help mask these sounds. Following these directions and finding your body’s own groove will help you stay alert and clear on race day. Sweet dreams! Many endurance athletes are discovering that energy gels are a better way to receive the carbohydrates needed to sustain their energy levels during endurance activities. Energy gels are easy to use, quick to digest and with great tasting flavors like CarbBoom! 's Vanilla Orange, Apple Cinnamon and Grape Pomegranate, there is no need to compromise on taste. Energy gels are best described as a hybrid of sports drinks and energy bars. Combining aspects of both, gels are power packed with a super concentrated dose of carbohydrates contained in a palatable and viscous consistency. Because of their quick absorption into the bloodstream, gels are preferred by many athletes since they are quick acting and are not “heavy on the stomach.” Energy gels are less likely to cause gastrointestinal distress which can sometimes be associated with drinks or bars. The majority of energy gels are sold in 1.1 to 1.9 oz. flexible packets (CarbBoom! Energy Gels® are slightly larger at 1.4oz.). Depending on the brand, gels provide 90 to 110 calories per serving and between 20 to 28 grams of carbohydrates. Each serving of gel provides enough ‘fuel’ to supply about 30-45 minutes of energy during physical activity. Fats and carbohydrates are the two best sources of energy found in the human body. Fat is the largest source, while carbohydrate stores lag behind significantly. Carbohydrates, however, provide the best and most readily available source of energy for the body during exercise. A 150 lb. person with 15 percent body fat has a large amount of energy stored as fat. If a person of this size did not ingest any food during exercise and if fat were the only fuel used during exercise, stored fat could support physical activity for almost seven days! If however, we take the same 150 lb. person and if carbohydrates were the only fuel used during moderate exercise, carbohydrate stores would only support physical activity for about two hours. Unfortunately, fat is not able to support exercise above a very moderate level (>60% VO2max) due to the slowness of fat mobilization and other limiting factors. Since most athletes train at intensities higher than this, a supply of fuel other than fat must be available to the body. This preferred energy source is carbohydrate. Carbohydrate is found in the body in two main forms, glycogen and glucose. Glycogen is a highly branched molecule made up of multiple glucose units and is stored in muscle and liver cells. Glucose, the body’s preferred energy source, is found in blood. Because we have limited stores of carbohydrates and because carbohydrates are the best energy source during moderate to heavy exercise, it is imperative that carbohydrates be ingested during exercise in order to perform at the highest levels possible. So how does carbohydrate ingestion improve endurance performance? During activity lasting longer than 60 minutes, glycogen levels begin to diminish. There is a progressive shift from muscle glycogen over to blood glucose as the body’s primary fuel source. When muscle glycogen levels are low, the consumption of carbohydrate serves to maintain proper levels of blood glucose and delay the onset of fatigue. In addition to this mechanism, carbohydrate ingestion also exerts its benefits at higher intensities of exercise by delaying and/or preventing muscle glycogen depletion (otherwise known as glycogen sparing). When should energy gels be used and how often should they be consumed? Energy gels can benefit competitive athletes, recreational athletes, diabetics and anyone else looking for a quick source of energy. They are ideal for sports like triathlons, running, cycling, swimming, tennis, soccer, football….the list goes on and on. In order to gain the performance advantage of carbohydrates, it is recommended that ~30-60 grams be consumed per hour during physical activity. This translates into one to two servings of energy gels during each hour of exercise. For first time gel users, determining the optimal timing and amount of energy gel to take can be confusing. As a general rule, it is recommended the following ‘dose schedule’ be used as a guide. Consume one energy gel 15-30 minutes prior to the start of the activity. Take a second energy gel 45-60 minutes into the activity (during half time of the soccer match, at the three to four mile mark of the half marathon, etc). Consume one energy gel 15-30 minutes prior to the start of the activity. Consume one energy gel one hour into the activity. Take subsequent gels every 30-45 minutes for the duration of exercise. Find an energy gel and a flavor which tastes great to you since you'll be using them successively on sizzling hot, humid days, cold rainy mornings and every kind of weather in between. Look for gels which contain real fruit (like CarbBoom! Enery Gels) rather than just artificial flavorings because it makes sense to consume a gel your taste buds will enjoy as much as your working muscles. Keep in mind that every athlete is different. You’ll need to experiment to find your body’s optimal regimen for gel intake. Pack energy gels with you on several training sessions and try taking them at different times and in different amounts to determine what system works best for you. Water, water, water! With any type of exercise it’s very important to stay properly hydrated. Water helps replenish fluids lost from sweating and provides optimal absorption for the carbohydrates. Roughly 8 to 10 ounces of water should be consumed along with each serving of gel. Make sure to have a water bottle or time the consumption of a gel with a water source nearby. Have a big race coming up? Our good friends at CORE Nutrition Planning (www.fuelthecore.com) recently shared the following nutrition guidelines for athletes doing a half distance triathlon. We thought it made so much sense that we wanted to pass along the wisdom. For a half distance triathlon or other 4 to 7 hour event, nutrition can be an incredibly important factor. In shorter distance triathlons you can get away with making some nutrition mistakes, but during a half distance triathlon, it is more likely that you will be punished for nutrition errors. In fact, when you talk to athletes who did not have a good race, they will often mention nutrition as the main reason why things did not go as planned. 1. Meeting the man with the hammer: Running out of fuel, hitting the wall, bonking, or just not being able to keep up the intensity during the last part of the race. 2. Dehydration: Becoming progressively dehydrated to an extent where this will limit performance. 3. Stomach problems: Gastrointestinal problems such as stomach cramps, bloating, etc. that can have a negative impact on your performance. As a general rule, aim for 60 grams of carbohydrate per hour. This carbohydrate can be in the form of a bar, a gel, chews, or a drink. If you use solid foods, make sure fat, protein and fiber content are low (no more than a few grams). What you use is entirely up to you and your personal preferences. Faster athletes tend to use more liquids and less solids because it can be difficult to chew at high intensities. It has also been shown that factors like fiber intake, fat intake and the use of very concentrated carbohydrate drinks are causes of gastrointestinal discomfort. So combining these three main issues, you need to plan ahead and have a rough idea where you are going to get your carbohydrate from (drinks, gels, bars), how much fluid you need to take in and where you are going to get this from (carry, special needs for feed stations) and make sure you reach approximately 60 g/hr of carbohydrate intake and enough fluid to not lose a lot of weight. You can get a good idea by weighing yourself before and after training. Think about this in advance and write down your plan. 1. Sticking to a plan at all costs: If for some unforeseen reason you cannot follow the plan (you lost a bottle, or you are developing gastrointestinal problems), do not continue with the plan at all costs. Be flexible and adapt. A slightly lower intake is not going to be a problem, forcing more nutrition in will. 2. Trying something new on race day: Sometimes you’ll see athletes walk around expos, buying new products for the race the next day. Only use products that you have tried and tested, products you know you tolerate well. 3. Thinking that more is better: Drinking more and eating more is not always better. Sure, you have to take in enough energy and enough fluids, but once you achieve the basic needs, more is not necessarily better and in some cases detrimental. 1. Sodium losses in a race like this are unlikely to affect performance in the vast majority of athletes, so sodium supplementation should not be a priority. Too much might cause gastrointestinal problems. 2. Caffeine (low dose: 3mg/kg one hour before: equivalent of a big cup of coffee or 2 espressos before the start) may help some athletes. Some athletes like it, some don’t. Experiment in training and find out what works for you. About Core Nutrition Planning: Founded by Sports Nutrition Scientist and Ironman athlete Asker Jeukendrup and Cyclist and Triathlete Bill Braun, CORE uses evidence-based guidelines from the latest sports nutrition research along with input from the athlete, with input about them, their event, and their preferred fuels to build personalized nutrition plans that help the athlete maximize performance. Learn more at www.fuelthecore.com. Meet our good friend and Boom! Nutrition Marathoner, Desta Morkama. We did a nice video interview at the Philadelphia Marathon but were overwhelmed by the background noise in the hall and Desta's language skills so the transcript is below. Desta is from Ethiopia and is currently living in the Northern Virginia area. Desta recently placed 2nd OA at the 2016 Marine Corps Marathon (2:24:28) and came in 13th at the Philadelphia Marathon on a very cold and wind day (2:27:03). Buna Booma! Desta enroute to a 2:27:03 finish (13th OA) at 2016 Philadelphia Marathon. Boom! Boom! : How old are you? Boom! : Where in Ethiopia are you from? Desta: I am from Arsi which is a province of Ethiopia with its capital at Asella. The province was reduced to a zone of the Oromia region with the adoption of the new constitution in 1995. My family are farmers. We raise maize (similiar to corn but different). Boom! : Do you have any siblings? Desta: I had 12 brothers and sisters. One has died. Boom! : When/Why did you come to the US and how did you get to Northern Virginia? Desta: I am in search of a better life. I hoped to win money at marathons, but the challenges are very difficult. Boom! When did you start running and when did you discover you were going to be good? Desta: I was a runner all my life. I began winning races when I was 13. When I learned to run fast enough, I traveled to Europe and ran marathons in France, Latvia, and Poland. Boom! What is your favorite training routine? How many miles do you run in a typical week? Desta: Near where I am staying is my favorite hill, 20th Street in Arlington VA between Glebe Road and Fillmore Street. The hill rises 25 meters in the distance of just 300 meters. I run it 20 times every morning at 7 AM. Then I eat breakfast, often with a packet of CarbBoom! Then I rest. In the afternoon, I run 5 to 10 miles at an easy pace. Then lunch and rest, or I work to help my friend Jay. Then we have a training program every evening -- speed work on a track on Mondays and Wednesdays, distance with the Pacers Running Store group on Tuesdays and Thursdays. I run a race almost every weekend. I cover about 105 miles per week. Boom! : What are your goals for running? Desta: I want to win major marathons. I finished 2nd overall at 2016 Marine Corps Marathon. I had a CarbBoom! gel before the race, then at 10 miles and 20 miles. Boom! What are your plans for being in the US? Desta: I need energy. I am always hungry. Boom! : What do you like about CarbBoom! Energy Gels and what is your favorite flavor? Desta: CarbBoom! tastes good and help me run longer and faster. My favorite is Orange Vanilla -- the caffeine gives me a boost. Coffee is "buna" in Amharic, so I call it Buna Booma! Boom! : Anything else he wants to share? Boom! : Thanks for the time Desta and best of luck in the future! 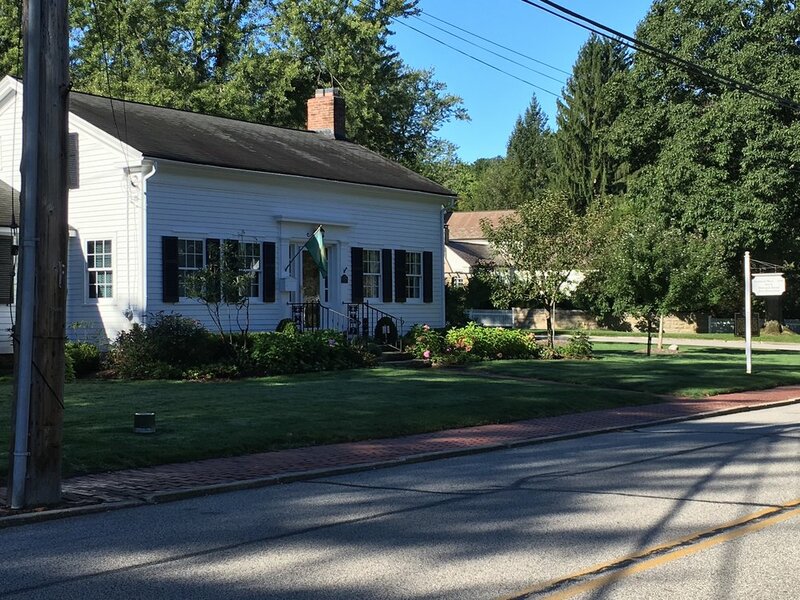 I live in historic Gates Mills, Ohio - part of Western Reserve (Connecticut) first settled in 1796. 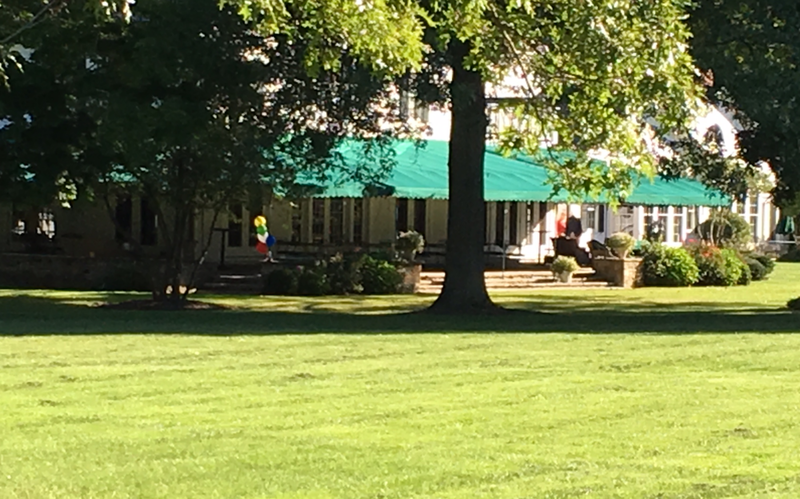 Nestled in the Chagrin Valley, my route runs along the Chagrin River and includes notable local landmarks such as the Chagrin Valley Hunt Club, Old Livery Tavern and St. Christopher By-the-River Church and includes the old mill race, horses, polo fields, split rail fences, stone walls and white picket fences protecting beautiful white Western Reserve houses. "Downtown" Gates Mills, with the town hall, the post office, library and Sara's Place restaurant is just a treat. A little challenging, the first 1.5 miles is mostly slightly uphill with the biggest problem keeping an eye out for the occasional horse manure on the road. Very few cars, an occasional cyclist. The last 300 meters or so is straight uphill to my finish line. It is an out and back 5K, but there are a number of other places to go to easily turn this into a 8-10 mile scenic run. Thanks for watching (I'll do better on the quality next time) and feel free to show me your route! Boom! Baja Bike Race: The route takes you from the city of Tecate to the city of Ensenada in Baja California Mexico totaling 73 miles through baja wine country. During the ride, you will climb almost 4000' with 4 major hills. To create additional competition amongst riders, we created a race within the race to the top to one of the hills. Competitors with the fastest time will earn themselves King and Queen of the hill! Quad Cities Marathon: The Quad Cities Marathon, a USATF certified course is held annually on the fourth Sunday in September. The 26.2 mile run starts and ends at 1201 River Drive in downtown Moline, IL. The event benefits two worthy causes: prostate cancer research & screening and the Erika Kate Foundation, helping families of children with life threatening heart conditions. The flat and fast course features one of the finest, most scenic river views in the country. It covers 5 races, 4 cities, 3 bridges, 2 states, and 1 island, all along the mighty Mississippi River! TowPath Marathon: Canalway Partners hosts the Towpath Marathon, Half Marathon and 10K every fall in the Cuyahoga Valley National Park. Described as “one of the most beautiful race courses in America” by Runner’s World magazine, the Towpath Marathon showcases breathtaking segments of the historic Towpath Trail located between Akron and Cleveland. The Towpath Marathon is one of few marathons that take place in a national park, and many consider it a unique specialty race due to the setting and time of year in which it is run. Indianapolis Monumental and Indianapolis Half Marathon: Now one of the 20 largest marathons in the US, the CNO Financial Indianapolis Monumental Marathon is the ideal fall marathon for everyone from the first time marathon runner to elite athletes. Starting and finishing at the Indiana State Capitol, the course highlights landmarks and historical neighborhoods throughout Indianapolis. Nationally recognized as flat and fast, this event has hosted Olympians, PR seekers, and thousands of Boston Marathon qualifiers. The Indy Half marathon takes place in historic Fort Harrison State Park, your hometown half is a gorgeous fall tour through the park and surrounding neighborhoods. Philadelphia Marathon: In Philadelphia, we redefine the experience of what a marathon should be. A beautiful course, an engaging atmosphere—it’s no wonder we're consistently listed among the top ten courses in the country, recognized for our flat terrain, mellow weather and spirited fans. Expect beautiful views through Fairmount Park and along the Schuylkill River and neighborhood crowds gathering on sidewalks in University City and Manayunk. Weave through the well-traveled streets of our historic district, passing sights familiar to Franklin, Washington and the rest of the gang, and end your race speeding towards the steps of the majestic Art Museum. Oh, that’s another thing: the fans. You'd better get ready for the crowds, because each year, thousands of spectators line the course eager to cheer on runners. There's nothing we love more in this town than a champion...all 30,000 of them. Ft Lauderdale 13.1: From Riverfront to Beachfront. A beach party experience that unfolds throughout the beautiful streets of Fort Lauderdale. This race offers hidden gems of this historic city along scenic routes through downtown Riverfront, breathtaking coastal neighborhoods, the famous Las Olas Boulevard and along A1A and Fort Lauderdale Beach. The finish includes a beach party with live music, activities for the family, a beer garden and more! USA Triathlon 2016 Art and Science of Triathlon Coaching Symposium. Atlanta Ga. Not a race but as the official Energy Gel of USA Triathlon, we are really excited to be learning and rubbing elbows with the best and brightest triathlon coaches around! Like or share this post by Sept 18 and be entered to win a race entry in the race of your choosing. Good luck and see you on the course! Boom Nutrition is really excited to support the Olympic dreams of Venezuelan Marathoner Luis Orta. We asked Luis to give us an update as to how it is going and what he has been up to over the past few months leading up to Rio. Training update from Luis. He leaves for Rio on Thursday. After qualifying for Rio at the Rotterdam Marathon, Luis traveled to Rio to review the course and competed in a 5000m race at the Olympic stadium. Spent a month in the Colorado mountains (9,000 ft) getting in some high altitude, high mileage training and then home to Boulder where he says " I am breaking all my records in practice and my confidence is through the roof. I am ready for an awesome race and experience in Rio!" Luis said "Because Rio is expected to be hot and humid I have been constantly working on my hydration and nutrition. I use a CarbBoom! Energy Gel every 30 minutes during my runs. I'm in love with the Banana Peach flavor. It's easy to take, the flavor is great and it definitely gives you that extra push necessary in long distance events. Most importantly it never hurts your stomach because it has only natural ingredients. During my race in Rio I plan to take one at 10k-20k-30k-35k I will even carry an extra one in my pocket just in case." The Olympic marathon is August 21st. Best off luck Luis as you pursue your Olympic dreams! Luis finished the 2016 Olympic Marathon in 106th place with a time of 2:27:05. Congrats Luis on a fantastic effort and we were really excited to be on your team. Boom! Boom! Is going to the Olympics! 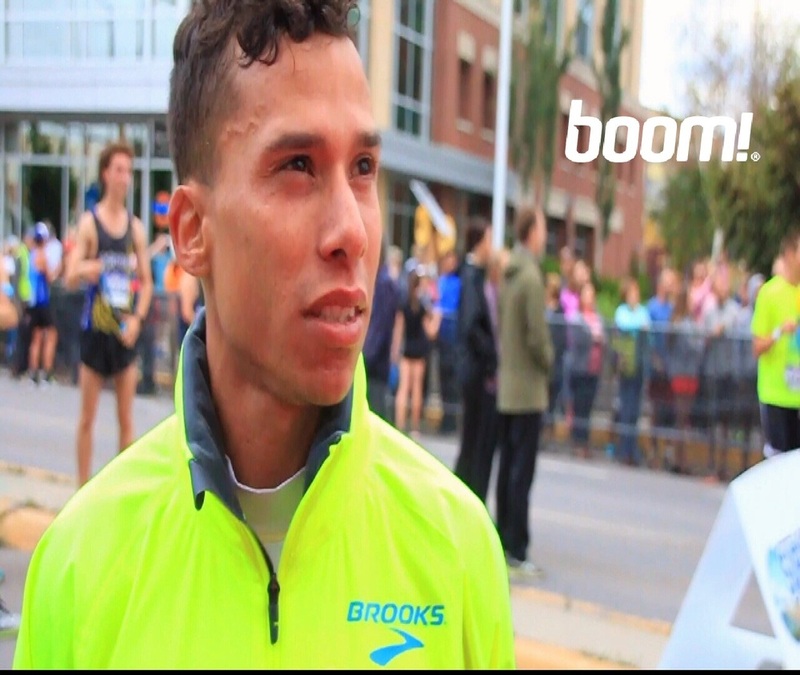 Boom Nutrition is proud to support the Olympic dream of Venezuelan marathoner Luis Orta. 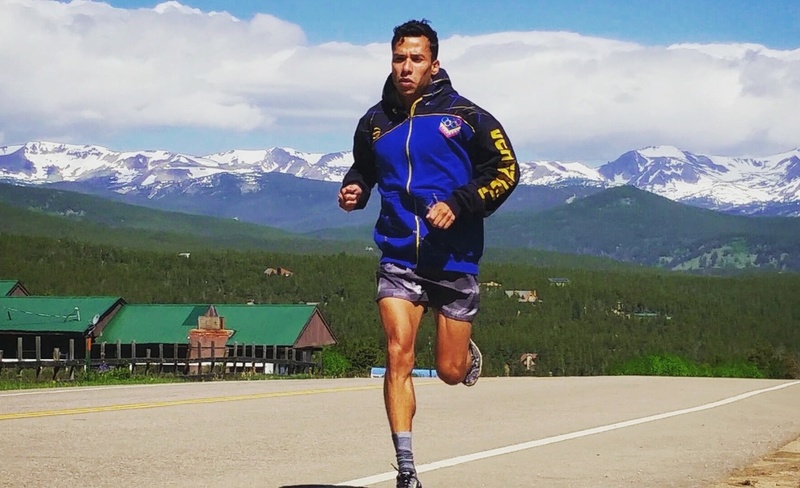 From Caracas Venezuela, Luis is a former Kentucky Wildcat and currently lives and trains in Boulder CO. At Kentucky, Luis was a 4 time All SEC athlete, 2012 SEC Indoor Runner of the Year and UK 3000m Steeplechase recordholder. After qualifying for the 2016 Rio Olympics at the 2016 Rotterdam Marathon, Luis said “I wouldn't have been able to achieve my lifetime goal of becoming an Olympian without CarbBoom! Energy Gels. I had tried different kinds before but the strong taste or the amount of sugar and caffeine gave me even more trouble than 26.2 miles already should give you”. Luis is a fan of Banana Peach and is excited to be carrying the Boom! banner in Rio this summer. Good luck to Luis and look for Luis sporting the Boom! tattoos while training and competing this summer. Number one question we are asked is how to avoid stomach issues. Great article by Asker Jeukendrup at www.mysportscience.com. Avoid high-fiber foods in the day or even days before competition. For the athlete in training, a diet with adequate fiber will help keep the bowel regular. Avoid dairy, high fat and high protein foods the day before. Make training with carbohydrates part of your weekly routine and train your race nutrition. Injuries are scary to think about, so many of just don't think about them. But it's important to take the necessary preventative measures to make sure we're able to run, bike, and swim as long as our hearts desire. Here are the most common injuries endurance athletes experience and steps we can take to prevent them from happening. Have you been hearing about the tape fad? Kinesiology tape can be hugely beneficial for the endurance athlete, but it's definitely a science to be mastered. Here we explore the various benefits of adding this technique to your routine. Sick of just one sport? Ready to move on to the next level? Triathlons may be in your near future, but it's important to transition at your own pace. Read more to learn about transitioning to triathlons. Do you have sore muscles from your last training run or ride? It is taking longer than usual to recover from your last race? Proper muscle recovery takes effort as well, and foam rollers can have a huge benefit on your recovery time as well as aid in preventing future injury. Today, we're diving into the benefits of the foam roller, and how to use one too! Ever feel like you have to choose between family/work life and your running life? With the 5 C's of balance, you may be able to have it all! Boom! Ambassador Jenn Garnand of New Orleans was one of six people who completed Ironman Lake Tahoe 2014, even though it was officially cancelled due to heavy smoke from nearby forest fires. She was the only known female finisher of the "Unofficial 6" who finished Ironman Lake Tahoe that day. And now, she's headed to Kona! Here's her remarkable story of strong will and determination. Lake Tahoe is notorious for being one of the most challenging Ironman courses in North America and beyond… 1) for the fact that it’s extremely unpredictable as far as weather and conditions are concerned and 2) because it’s situated at 6-7,000 feet of elevation with over 6700 feet of elevation gain throughout the bike course. Needless to say, as a girl from New Orleans, I’ve been terrified for the greater part of the last year! When I arrived in Tahoe, I vividly remember walking over to pick up my bike box at the airport and by the time I had pulled it to the front door, I was out of breath. Great! I figured I was in for a real treat once I had to do actual physical activity. I spent the first day acclimating to my new environment and doing absolutely nothing. It was concerning from day one, when I learned of 2 nearby forest fires, one only about 10 miles away, that were producing smoke that would fill Lake Tahoe and the entire surrounding valley for the coming week. Each day, I tolerated the smoke as it came and was smart about when to call it quits. After all, I was saving myself for race day. The morning of the race, I woke up to smoke filling the inside of our hotel room and knew that things weren’t looking good. We proceeded to get everything together as normal and took the long shuttle bus ride to race start. When we got there, music was blaring, volunteers were everywhere and it looked like your typical Ironman event: ready to rock and roll! The air surrounding the lake was clear and the water was still, much different than any of the days I had practiced in this “lake” with its 5-foot waves and surfers riding them. Everything was looking great to start the race. We were lined up on King’s Beach, toes in the water, waiting to begin our individual journeys. The race was literally cancelled about 5 minutes prior to the start, out of safety concerns for athletes, volunteers and the general public. I understand and respect Ironman’s decision to cancel that day, however devastating it may have been to the 1900+ athletes that had traveled from all over the world to be there and made unbelievable personal sacrifices in order to get to that starting line. I’ve never seen so many grown men crying in one place before. It was terrible! I too, sniffled for all of about 5 seconds. Just then, I got that feeling when you just “know” and told myself, “I’m doing it.” Now don’t go thinking I was trying to go against WTC rulings or trying to prove a point to anybody. I wasn’t. I had been dealing with this smoke for the past week and had been smart about not training in it when it got bad. I was saving myself for this one day and I hadn’t come all the way to Lake Tahoe to vacation. I wasn’t going home without a fight. In true ER nurse fashion, I strapped my N-95 mask on and began my journey. Despite wearing an N-95 mask under my helmet for over 6 hours, the bike ride was really nice. Elevation was not an issue for me, and the hills, well, I had prepared myself way better than I thought! I only stopped breathing (ok, I’m being dramatic) twice on 2 of the bigger climbs and the scenery is SO AMAZING that you almost forget you’re doing work. The smoke got progressively better throughout the course of the day and by the time I was on the run, I didn’t need the mask at all. The marathon was a special experience. By this time, I was aware that there were a few others out on the course and we had already formed a special bond through waves and cheers. Their people became my people and I found myself with random strangers checking on me well into the night. One thing I learned about running a marathon on a mountain is that it is PITCH BLACK. Talk about not being able to see your hand in front of your face! I even had a light on my race belt, but it was still incredibly difficult to navigate the run path in this environment. Towards the second half of the run, I found myself doing loops around our hotel (yay) so that I could see where I was going. This is about the equivalent of running on a treadmill for me, so that part was not very exciting, but I had to get the miles in. About 5 miles from the finish, I decided to detour up the mountain a bit to where the finish line would have been. To my surprise, I was greeted by bright lights, music and about 20 screaming people. I jokingly said, “Wait, I’m not done!” Matt Miller, initially known to be “a guy named Matt, now recognized as President of Base Performance and one of the best Ironman cheerleaders I know), was there leading the group. He started running with me and asked how many miles I had left. I told him 5, and he said, “Great, we’ll be here waiting for you.” I told him they did NOT have to do that and asked about what family members or friends they had come here to support. He responded, “You. We’ve been watching you all day. We came back here for YOU!” WHAT?!?!?! I couldn’t believe these strangers were getting crazy at almost midnight on a dark abandoned mountain for ME…So I continued to run for almost the next hour with a renewed sense of excitement for my once “virtual”, now very much real Ironman Lake Tahoe finish line. When I did come in for the finish, I had my very own announcer complete with microphone and loudspeaker, refreshments, an unofficial bedazzled heart necklace and a 1999 Ironman New Zealand bag that one of my new friends had scratched out and scribbled “Ironman Lake Tahoe 2014” in its place. These people were hugging and kissing me like I had known them my entire life. They took pictures and videos and did everything in their power to make the culmination of that initially very disappointing day an incredibly amazing finish! I formed a special bond with them in that moment that has now grown beyond Lake Tahoe. I went on to compete in Ironman Florida with one of my finish line friends, Ryan Moll (it was a special day and #5 for us both). He not only cheered me on in Tahoe, but completed his own distance of 76.3 miles that day (because 70.3 was just too normal). These are my kind of people; these are friendships that will forever remind me that our triathlon community is truly amazing. As if it couldn’t get any better, two months following the event, on November 14th, my wildest dream came true. Ironman announced a handful of members of the Ironman Lake Tahoe community who had shown up, checked in and signed up for another race in 2015, that would receive the “golden ticket” to race in the 2015 Ironman World Championship in Kailua-Kona, Hawaii... and MY name was on that list! I knew that day in Lake Tahoe was special for many personal reasons, but as it turns out, the decision I made to follow my dreams resulted in the ultimate reward. This was Ironman #4 for me, but definitely the most important and special one of the 4. I did it for ME. I did it because it’s in my blood and it’s what I had come to do. I’m proud to be the only known female member of the “Unofficial 6” that finished Ironman Lake Tahoe that day. I learned that if you really want to achieve something, be smart, be safe and go out and get it! I’m glad I did. The Boom Nutrition team is very excited about its new multi-year partnership with USA Triathlon. Carb Boom! Energy Gels® are the Exclusive Energy Gel of USA Triathlon through 2017! We will be the on-course Energy Gel at all of the USAT National Championships including the Age Group Nationals, the Duathlon Nationals, the Collegiate Nationals and the Youth and Junior Nationals. In addition, we are on-course Energy Gel at the 2015 ITU World Championships in Chicago. Starting in January, you will see us in USAT’s Multisport Zone ENewsletter and nutritional webinars throughout the year. We love going to these events and can’t wait to see everyone on-course and at the expos! BOOM! Cleveland, OH: BOOM Nutrition along with USA Triathlon announced today that Carb Boom! Energy Gels® have signed on to be the Exclusive Energy Gel of USA Triathlon through 2017. Carb Boom! Energy Gels® are well known for their great taste and unbeatable endurance performance. They are made with real fruit concentrates and purees and are rich in complex carbohydrates that deliver a steady energy release without the risk of an upset stomach. Triathletes, cyclists, runners and other endurance athletes love Carb Boom! Energy Gel’s six delicious flavors and appreciate the fact that they do not contain any added sugars or artificial flavors, colors or sweeteners. More information can be found at www.boomnutrition.com. Boom!® will provide energy gels at on-course aid stations for USA Triathlon’s four owned National Championships: Age Group (Olympic-Distance & Sprint), Collegiate, Duathlon and Youth & Junior. Additionally, all USA Triathlon annual members, including athletes, coaches and race directors, will receive a 20 percent discount on Carb Boom! Energy Gels®. Members can access their code by logging in to their personal account on usatriathlon.org. "We are very excited to partner with USA Triathlon for the coming three years" said Boom!® CEO and longtime USA Triathlon member Tony Lammers. "USA Triathlon is the largest multisport organization in the world and triathletes have been passionate supporters of Carb Boom! Energy Gels® for years. The entire Boom!® team welcomes the opportunity to work closely with USA Triathlon as we enter this exciting new era for both of our organizations."